Even big-time designers like the challenge of designing on a budget. 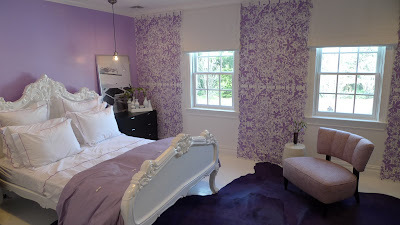 Here are three teen rooms which Vicente Wolf designed for under $30,000 (ok well budget for him). Each room is very different from the other. I'm assuming they are all in the same house. My favorite is the boy's room above. 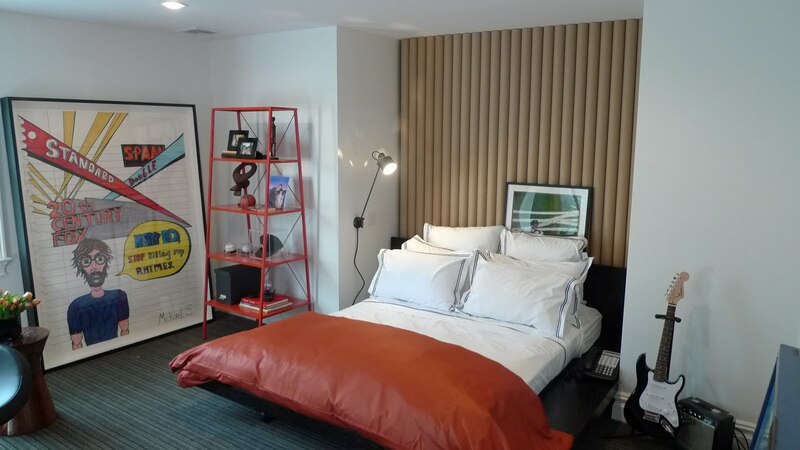 The idea of using cardboard tubes mounted to the wall for a headboard is genius and so different. 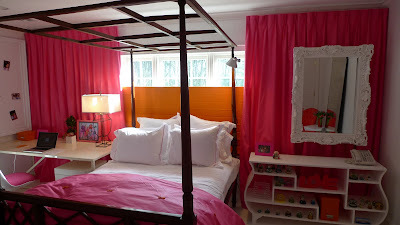 To read more about these rooms and the sources for their furnishings visit Vicente's Blog here. 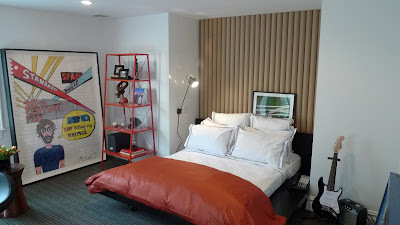 Awesome boy's room. Another one I'm filing away for future inspiration!